Szalai Nóri | 11. 12. 07. Ma tovább folytatjuk az űr és az ufók témát, és azokról a magyarokról készítettem egy leckét, akik jártak az űrben, nevezetesen Farkas Bertalanról, és Charles Simonyiról lesz szó. A szöveget meg is hallgattatod! Gratulálunk! A részletekről személyesen fogunk értesíteni! Webshopunkban nyitottunk egy új kategóriát, amelyben olyan termékeket is megvásárolhatsz, amelyek ugyan nem nyelvoktató kiadványok, viszont számunkra kedvesek. Péter könyvét most nálunk is megveheted, így a nyelvkönyvek mellett garantáljuk, hogy nevetésből sem lesz hiányod! 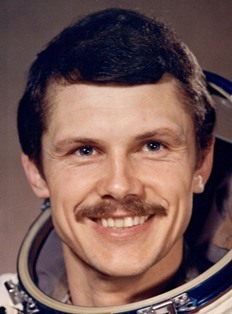 Bertalan Farkas(born August 2, 1949) is the first Hungarian cosmonaut in space. With Charles Simonyi’s travel, Farkas is no longer the only Hungarian who has been to space (he is still the only astronaut, as Simonyi flew as a space tourist). Farkas graduated from György Kilián Aeronautical College in Szolnok in 1969, then he attended the Krasnodar Military Aviation Institute in the Soviet Union, from where he graduated in 1972. After earning his qualifications at University, Farkas joined the Hungarian Air Force and rose to the rank of Brigadier General. In 1978 he volunteered to become a cosmonaut and was selected as part of the fifth international programme for Intercosmos. His backup cosmonaut was Béla Magyari. Farkas, along with Soviet cosmonaut Valeri Kubasov, was launched into space on Soyuz 36 from Baikonur Cosmodrome on May 26, 1980. While in orbit, Farkas conducted experiments in material science. After 7 days, 20 hours and 45 minutes, and having completed 124 orbits, Farkas and Kubasov returned to Earth, landing 140 km southeast of Dzhezkagan. Bertalan Farkas was awarded the title Hero of the soviet Union on June 30, 1980. Charles Simonyi(born September 10, 1948) is a Hungarian-American computer software executive who, as head of Microsoft’s application software group, oversaw the creation of Microsoft’s flagship Office suite of applications. He now heads his own company, International software, with the aim of developing and marketing his concept of international programming. 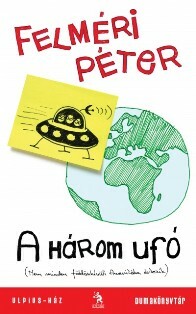 In April 2007, abroad Soyuz TMA-10, he came the fifth space tourist and the second Hungarian in space. In March 2009, abroad Soyuz TMA-14, he made a second trip to the International Space station. His estimated net worth is 1 billion USD. Simonyi was born in Budapest. While in high school, he worked part-time as a night watchman at a computer laboratory, overseeing a large Soviet Ural mainframe. He took an interest in computing and learned to program from one of the laboratory's engineers. By the time he left school, he had learned to develop compilers and sold one of these to a government department. In early 2006, Simonyi expressed interest in becoming a space tourist and signed agreements with the space tourism company, Space Adventures Ltd. for a ten-day mission to the International Space Station (ISS). In August 2006, he passed a pre-qualification medical exam by the Russian Federal Space Agency, called the state Medical Commission, and he started training at star City in September 2006. He was launched on April 7, on board Soyuz TMA-10. He shared a ride with two Russian cosmonauts and returned aboard Soyuz TMA-9, scheduled to depart from the ISS on April 20, 2007. Upon arrival to the ISS on April 9, 2007 Simonyi said, "It is amazing how it appears from the blackness of the sky. It was very, very dramatic. It was like a big stage set, a fantastic production of some incredible opera or modern play. That's what I was referring to when I said I was blown away.” Simonyi's expected return on April 20, 2007 was delayed by one day due to 'boggy ground'. He returned to Earth on April 21, 2007 along with an American astronaut and a Russian cosmonaut. In October 2008, he booked for a second trip to the ISS through Space Adventures on board Soyuz TMA-14. On March 26, 2009 he returned to space aboard Soyuz TMA-14. He returned to Earth on board Soyuz TMA-13. Along with Soyuz Commander Yuri Lonchakov and Michael Fincke, Simonyi landed in Kazakhstan on April 8, 2009.